Il violinista Stefan Milenkovich, nominato artista serbo del secolo, personalità dell’anno, gode di una prolifica carriera come solista di fama internazionale, con una straordinaria longevità produttiva, professionalità e creatività. La stagione 2017/18 di Milenkovich comprende esibizioni con Orchestra Sinfonica di Milano Giuseppe Verdi (Italia), Orchestra Filarmonica Marchigiana (Italia), Prague Symphony Orchestra (Repubblica Ceca), New Jersey Festival Orchestra (USA), Zagreb Philharmonic Orchestra (Croazia), Radio Ucraina-Television Orchestra (Ucraina) e Sloveno Radio-Symphony Orchestra (Slovenia). Le esibizioni recenti includono la collaborazione con Utah Symphony Orchestra (USA), Grand Rapids Symphony Orchestra (USA), Oklahoma City Symphony Orchestra (USA), Slovenian Philharmonic Orchestra (Slovenia), oltre a regolari esibizioni in recital con il pianista Rohan De Silva. Considerato uno dei grandi violinisti della sua generazione, Milenkovich si è esibito in diverse sale da concerto tra le più famose al mondo quali Carnegie Hall – New York City (USA), Kennedy Center – Washington (USA), Cadogan Hall – Londra (Regno Unito ), Suntory Hall – Tokyo (Giappone), così come i teatri italiani La Fenice – Venezia, San Carlo – Napoli e Petruzzelli – Bari. Le sue numerose apparizioni con orchestra comprendono l’Indianapolis Symphony Orchestra, la Berlin Symphony Orchestra, l’Orpheus Chamber Orchestra, l’Aspen Chamber Symphony, l’Helsinki Philharmonic, la NDR Radiophilharmonie Hannover Symphony Orchestra, l’Orchestra di Radio-France, l’Orchestra Bolshoi Theatre, l’Orchestra Nazionale del Belgio, la Sinfonia dello Stato del Messico, Orquestra Sinfonica de Estado de Sao Paolo, e le Sinfonie di Melbourne e del Queensland. Ha ha suonato sotto la direzione di direttori come Sir Neville Marriner, Lorin Maazel, Vladimir Fedoseyev e Daniel Oren. Milenkovich ha iniziato la sua carriera giovanissimo. Si è esibito per il presidente degli Stati Uniti Ronald Reagan ad un concerto di Natale a Washington DC, all’età di 10 anni. L’anno seguente, ha suonato per Mikhail Gorbachev a Belgrado. All’età di 14 anni, ha suonato per Papa Giovanni Paolo II e all’età di 16 anni Milenkovich ha tenuto il suo 1000° concerto a Monterrey, in Messico. All’età di 17 anni, è stato il vincitore del Concorso internazionale Young Young Artists (USA), nonché vincitore del Concorso internazionale di violino di Indianapolis (USA), della Queen Elisabeth Competition (Belgio), del Concorso per violino di Hannover (Germania), Concorso Tibor Varga (Svizzera), Concorso Rodolfo Lipizer (Italia), Concorso Paganini (Italia), Concorso Ludwig Spohr (Germania) e Concorso Yehudi Menuhin (Inghilterra). Profondamente impegnato in cause umanitarie internazionali, nel 2002 Milenkovich ha ricevuto “Lifting Up the World With Oneness Heartaward” per le sue attività umanitarie, riconoscimento consegnato personalmente dal guru Sri Chinmoy. Ha anche partecipato a numerosi concerti di gala sotto l’egida dell’UNESCO a Parigi con artisti come Placido Domingo, Lorin Maazel, Alexis Weissenberg e Sir Yehudi Menuhin, ed è stato attivo come Primo Ambasciatore durante le guerre balcaniche nei primi anni ’90. Come musicista di vasti interessi stilistici, Milenkovich si è esibito con il cinque volte Grammy Nominee, il gruppo rock dei Gorillaz, in uno dei luoghi più famosi al mondo: l’Apollo Theater di Harlem a New York. La performance acclamata dalla critica è stata presentata in diretta su MTV. Le recenti collaborazioni includono esibizioni con il Grammy Award Edin Karamazov, nonché una collaborazione musicale con il chitarrista Vlatko Stefanovski e il suo trio, dove Milenkovich ha esplorato l’improvvisazione suonando un violino acustico-elettrico. La discografia di Milenkovich comprende quattro incisioni discografiche per l’etichetta italiana Dynamic, con le Sonate complete di J. S. Bach e Partite per violino solo; la musica completa per violino solo – Nicolo Paganini 24 Capricci; N. Paganini Recital; e N. Paganini In cuor più non mi sento; Ha anche pubblicato numerose registrazioni per l’etichetta jugoslava PGP. Il recente CD di Milenkovich include la prima incisione con il Manchester Music Festival di Vittorio Giannini Piano Trio e Piano Quintet. Fortemente dedito al lavoro pedagogico, Milenkovich ha insegnato in collaborazione con Itzhak Perlman alla Juilliard School di New York City, NY, e al Perlman Music Program, prima di accettare la sua attuale posizione come professore associato di violino all’Università dell’Illinois a Urbana-Champaign. Milenkovich è ancora il più giovane diplomato dell’Accademia di musica di Belgrado, in Serbia, ha terminato i master studi a 19 anni, e ha completato il programma di studi professionali presso la Juilliard School di New York, sotto la guida della signora Dorothy DeLay . Milenkovich suona un violino del 1783 di Giovanni Battista Guadagnini. Serbia’s Artist of the Century, Most Humane Person, and Brand Personality of the Year, violinist Stefan Milenkovich enjoys a prolific career as an internationally sought-after soloist and recitalist, with an extraordinary productive longevity, professionalism and creativity. Milenkovich’s 2017 – 18 season includes performances with Orchestra Sinfonica di Milano Giuseppe Verdi (Italy), Orchestra Filarmonica Marchigiana (Italy), Prague Symphony Orchestra (Czech Republic), New Jersey Festival Orchestra (USA), Zagreb Philharmonic Orchestra (Croatia), Ukrainian Radio-Television Orchestra (Ukraine), and Slovenian Radio-Symphony Orchestra (Slovenia). Recent performances include collaboration with Utah Symphony Orchestra (USA), Grand Rapids Symphony Orchestra (USA), Oklahoma City Symphony Orchestra (USA), Slovenian Philharmonic Orchestra (Slovenia), as well as regular performances in recital with pianist Rohan De Silva. Established as one of the great violinists of his generation, Milenkovich appeared on multiple occasions in some of the world’s most celebrated venues such as Carnegie Hall, New York City (USA), Kennedy Center, Washington (USA), Cadogan Hall, London (UK), Suntory Hall, Tokyo (Japan), as well as Italy’s theatres La Fenice, Venice, San Carlo, Naples, and Petruzzelli, Bari. His numerous appearances with orchestra include Indianapolis Symphony Orchestra, Berlin Symphony Orchestra, Orpheus Chamber Orchestra, Aspen Chamber Symphony, Helsinki Philharmonic, NDR Radiophilharmonie Hannover Symphony Orchestra, Orchestra of Radio-France, Bolshoi Theatre Orchestra, National Orchestra of Belgium, Mexico State Symphony, Orquestra Sinfonica de Estado de Sao Paolo, and the Melbourne and Queensland Symphonies, and has performed under the baton of such conductors as Sir Neville Marriner, Lorin Maazel, Vladimir Fedoseyev, and Daniel Oren. Milenkovich started his career at a very young age. He performed for U.S. President Ronald Reagan at a Christmas concert in Washington, DC, at age 10. The following year, he played for Mikhail Gorbachev in Belgrade, Serbia. At age 14, he played for Pope John Paul II and at age 16, Milenkovich gave his 1000th concert in Monterrey, Mexico. 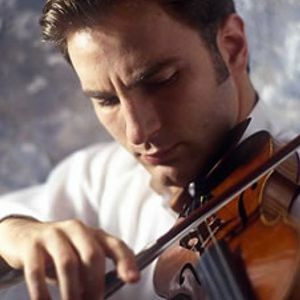 By age 17, he was the winner of The Young Concert Artists International Competition (USA), as well as a prizewinner in the International Violin Competition of Indianapolis (USA), the Queen Elisabeth Competition (Belgium), Hannover Violin Competition (Germany), Tibor Varga Competition (Switzerland), Rodolfo Lipizer Competition (Italy), Paganini Competition (Italy), Ludwig Spohr Competition (Germany), and the Yehudi Menuhin Competition (England). Deeply committed to international humanitarian causes, in 2002 Milenkovich received the Lifting Up the World With Oneness Heartaward for his humanitarian activities, handed to him personally by the guru Sri Chinmoy. He also participated in a number of gala concerts under the auspices of UNESCO in Paris with such artists as Placido Domingo, Lorin Maazel, Alexis Weissenberg, and Sir Yehudi Menuhin, and was active as the First Child Ambassador during the Balkan wars in early 90’. As a musician of broad stylistic interests, Milenkovich performed with five-time Grammy Nominee rock band Gorillaz in one of the world’s most renowned venues – Apollo Theater in Harlem, New York City. The critically acclaimed performance was featured live on MTV. Recent collaborations include performances with Grammy Award Nominee lutist Edin Karamazov, as well as a musical partnership with guitarist Vlatko Stefanovski and his trio, where Milenkovich explored the realm of improvisation and acoustic-electric violin. Milenkovich’s discography includes four commercial releases of the Italian label Dynamic, featuring J. S. Bach Complete Sonatas and Partitas for Solo Violin, Complete Music for Solo Violin – Nicolo Paganini 24 Capricci, N. Paganini Recital, and N. Paganini In cuor piu non mi sento. He also released numerous recordings for the Yugoslavian label, PGP. Milenkovich’s recent CD release includes a First Recording disc with the Manchester Music Festival of Vittorio Giannini’s Piano Trio and Piano Quintet. Firmly dedicated to pedagogical work, Milenkovich taught in collaboration with Itzhak Perlman at the Juilliard School in New York City, NY, and Perlman Music Program, before accepting his current position as an Associate Professor of Violin at the University of Illinois at Urbana-Champaign. Milenkovich is still the youngest graduate of the Music Academy in Belgrade, Serbia, finishing his Masters’ studies at 19 years of age, and has completed the Professional Studies program at the Juilliard School in New York City, NY under tutelage of Mrs. Dorothy DeLay. Milenkovich plays a 1783 Giovanni Battista Guadagnini violin. © 2015 OCS Orchestra da Camera della Sardegna. All rights reserved.